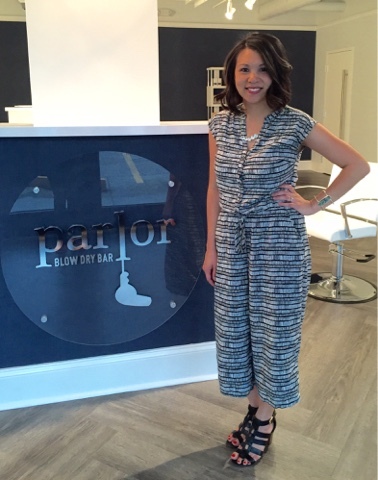 Hello Parlor! 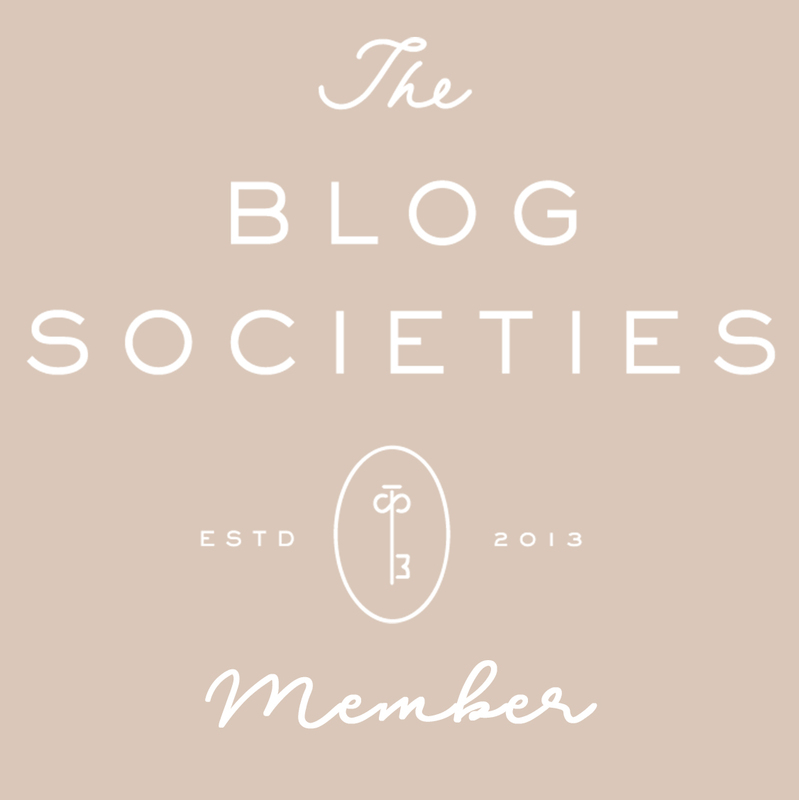 Glitter and Juls | Savannah Life and Style Blog | Affordable Fashion: Hello Parlor! 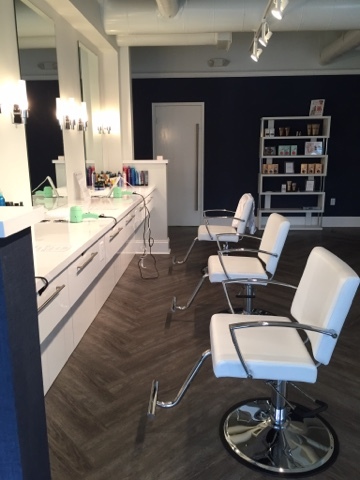 Blow-dry only salons have been popping up all over and they have been super popular! 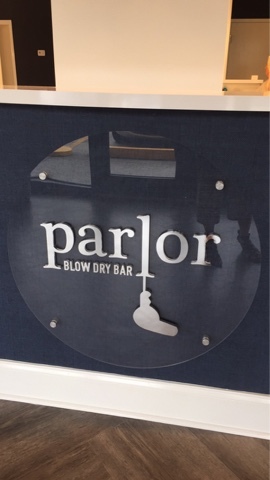 I was so excited when I found out Parlor Blow Dry Bar was opening up in Savannah! I attended their grand opening event last month and it was a great evening with a fabulous turn-out! 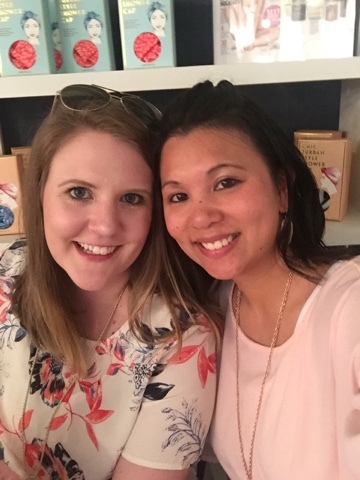 I went with my Instagram bestie, Megan and her cutie, Vivi. I loved being able to celebrate with owners, Niki, Stephanie, and Kelli. The event was entertaining and also supported a great cause. Even though I didn't win one of the fabulous door prizes from the charity raffle, all the proceeds went to Next Generation for the Children's Hospital at Memorial Health! 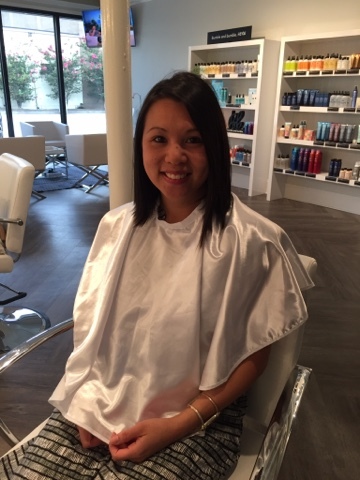 Last week I went back for my first blow-out experience! I was headed to see my sister perform at the Lucas Theatre afterwards so I thought it was a great opportunity to get all dolled up for it! The staff was so friendly! Ashley was my stylist and she was great! 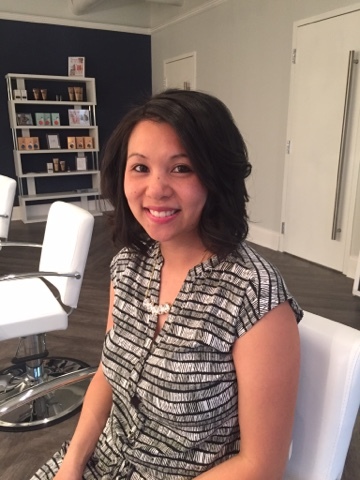 She walked me through all the products she was using with me and provided great advice for styling my hair! I went with the Short & Sassy and added some curl too! 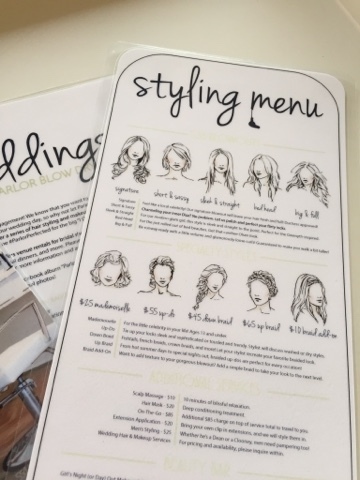 Parlor offers so many different style options that are great for all kinds of hair! Say good-bye to bad hair days! 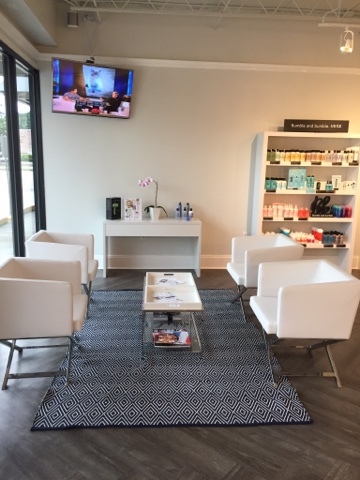 I loved getting pampered and feeling fabulous afterwards! My hair had so much volume and bounce! 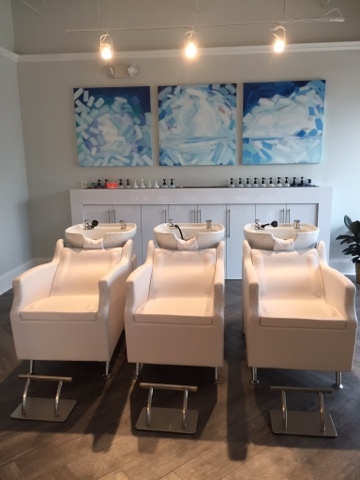 The salon space is sleek, clean with a modern look. 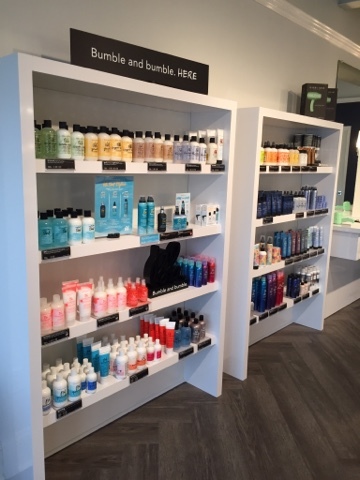 They use Bumble and Bumble products which made my hair feel and smell amazing! 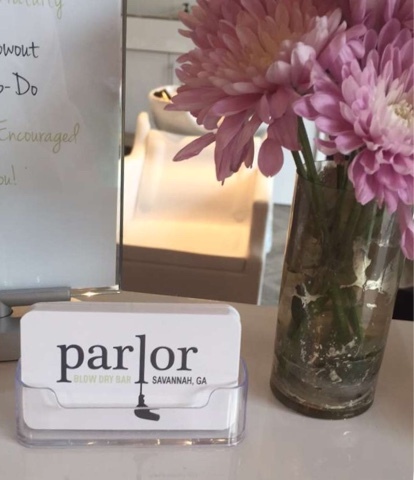 If you're in Savannah, I definitely recommend checking out Parlor Blow Dry Bar! Also, find them on Instagram and Facebook for fabulous deals! 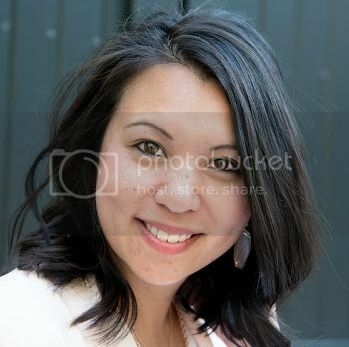 Check out my before and after! 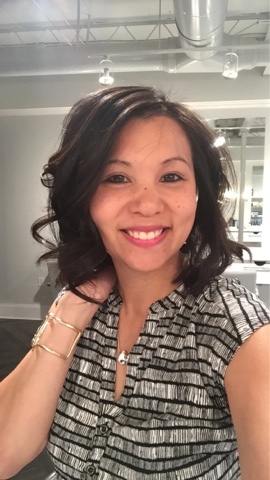 Bye-bye boring straight, limp hair! Hello full and bouncy new do! I think I'll try a braid add-on next visit! Until next time!